Size of this PNG preview of this SVG file: 600 × 600 piksel. Leraian-leraian lain: 240 × 240 piksel | 480 × 480 piksel | 768 × 768 piksel | 1,024 × 1,024 piksel | 990 × 990 piksel. 22:14, 20 Januari 2011 1,000 × 1,000 (850 bytes) Zscout370 Trying to accomplish what Fry wanted, but still using the minimal code. 04:36, 8 Mac 2010 1,000 × 1,000 (833 bytes) CryptoQuick Reverted to the last optimized file, then added the minor changes of the large file that had been edited by Inkscape. 17:39, 2 Disember 2008 1,000 × 1,000 (3 KB) Eurodollers Reverted to version as of 05:06, 3 November 2008, Alex Tora haven't placed any reason. 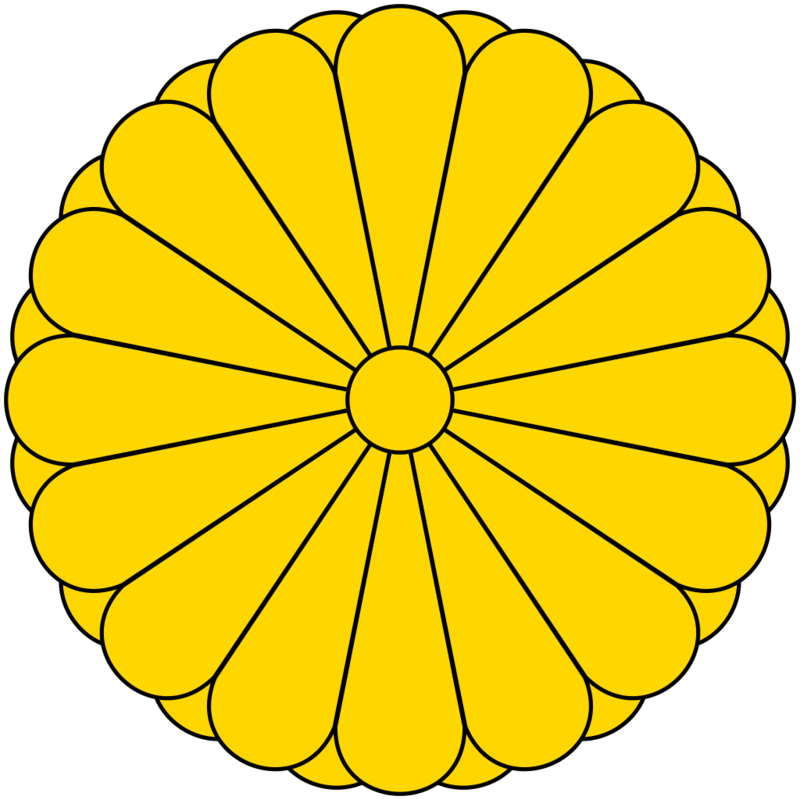 Plaease refer Japanese passport and the Imperial Seal of Emperor's car. 05:06, 3 November 2008 1,000 × 1,000 (3 KB) Eurodollers It's rather Gold. Refer Imperial flag or Japanese passport.